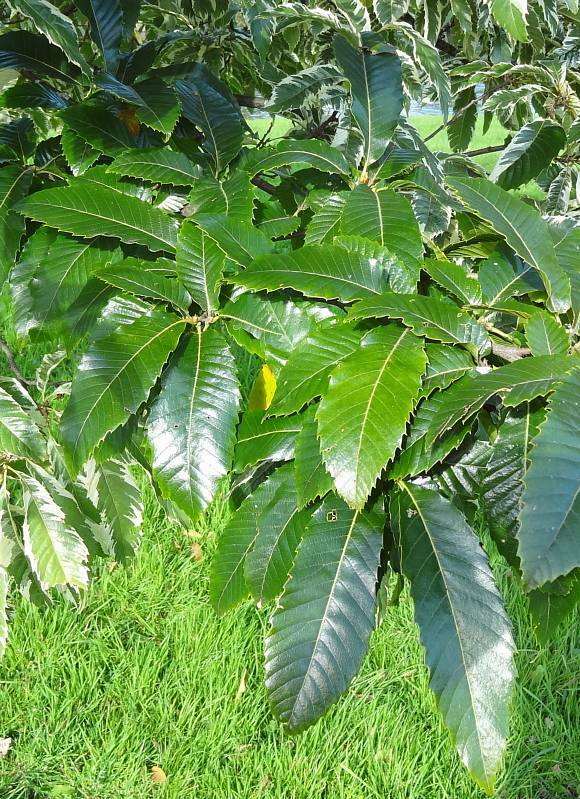 A cultivated variety of Sweet Chestnut. 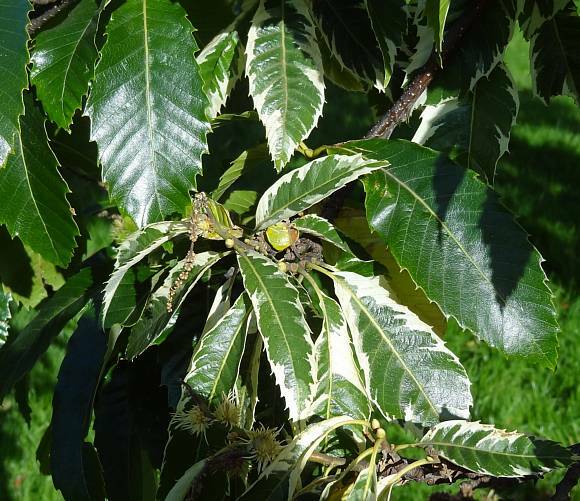 Has creamy-yellow leaf margins. 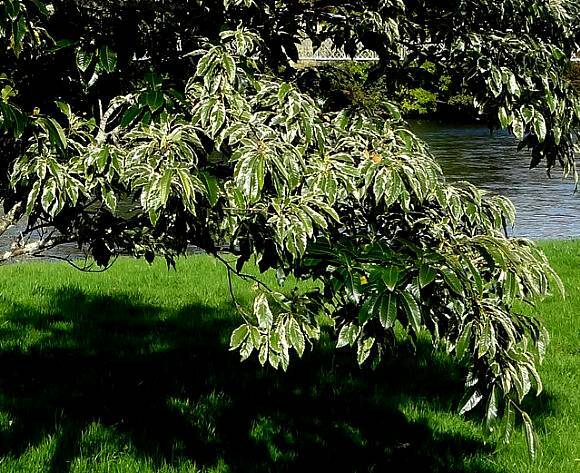 (Whereas the much rarer variety Variegated Chestnut 'Aureomarginata' has gold-coloured margins). Leaves coarsely saw-toothed and semi-glossy on the upperside, mostly with pale margins. 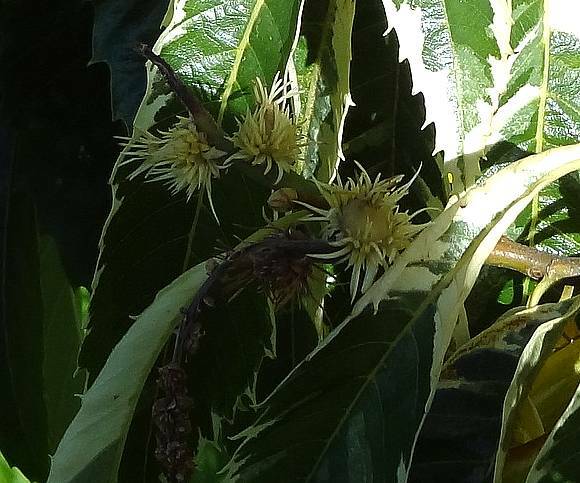 The fruits are encased in a jacket covered in sharp prickly spines. 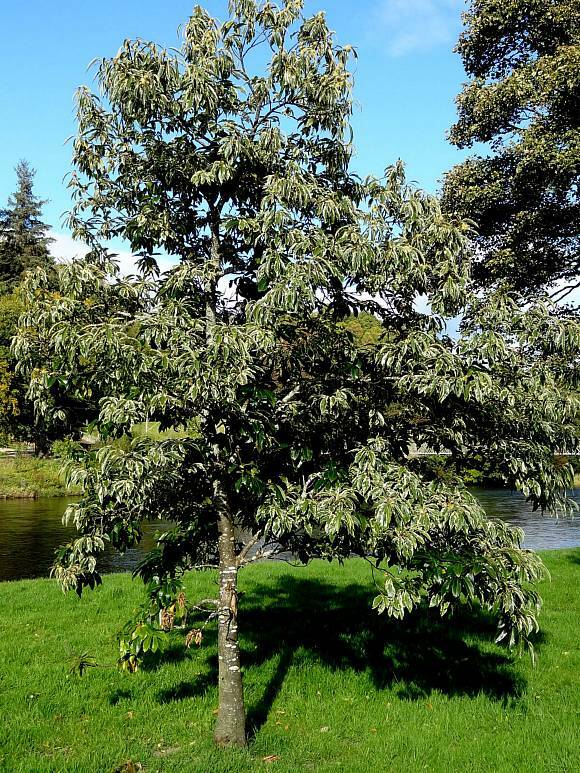 Like many variegated plants, where the chlorophyll is lacking, the plant is apt to revert to original form, with no pale margins, simply because, in times of stress, the leaves work better with chlorophyll converting the suns rays to useful material. 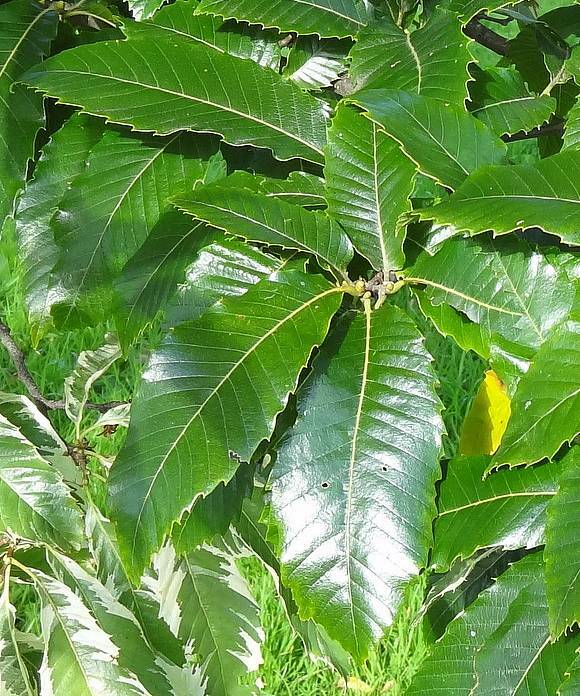 Leaves similar to those of Sweet Chestnut. 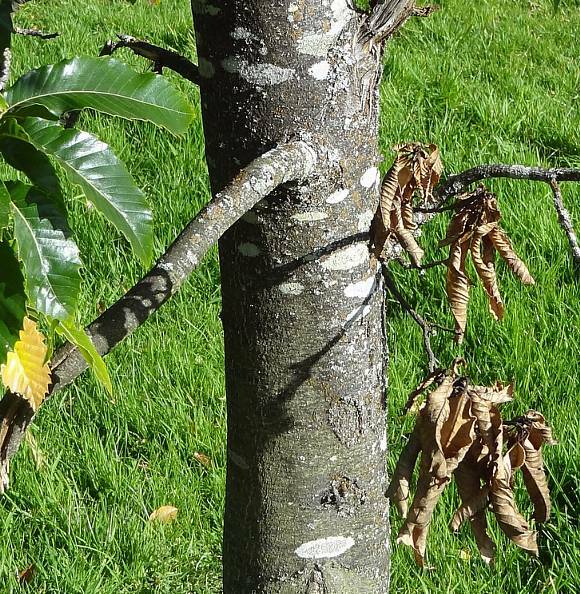 This is the bark of a relatively young specimen.